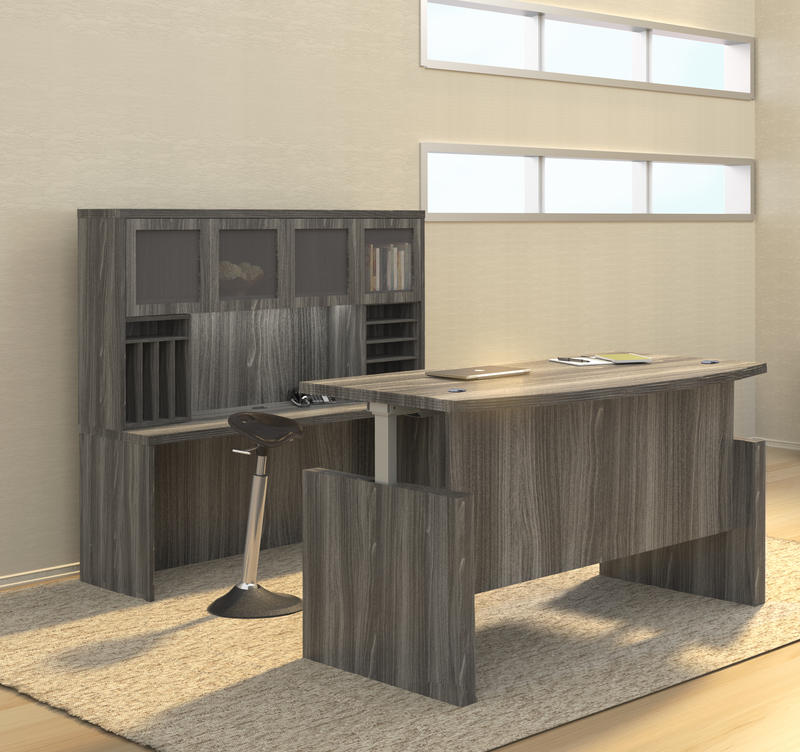 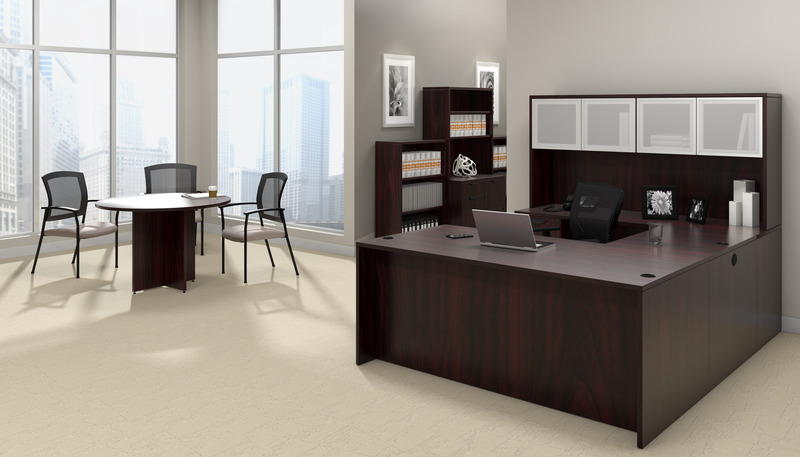 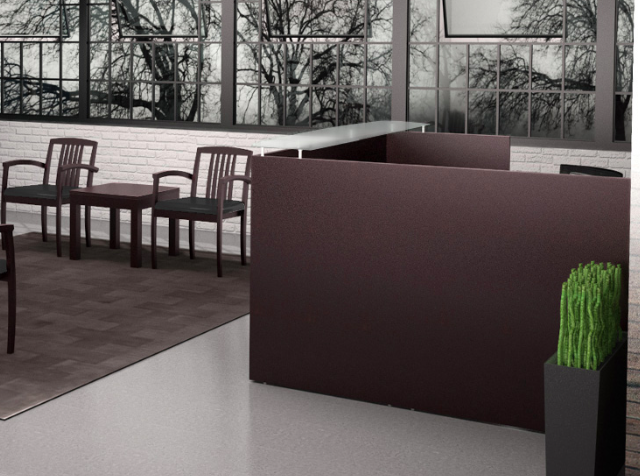 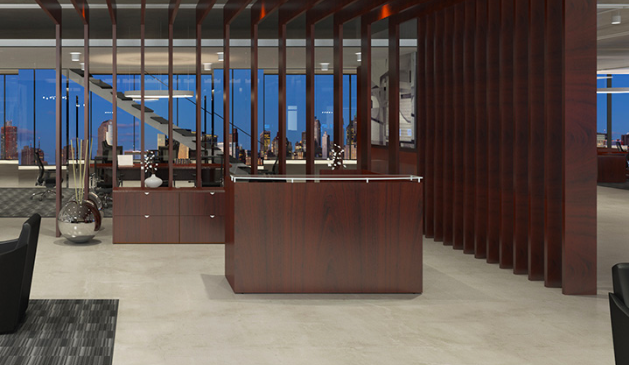 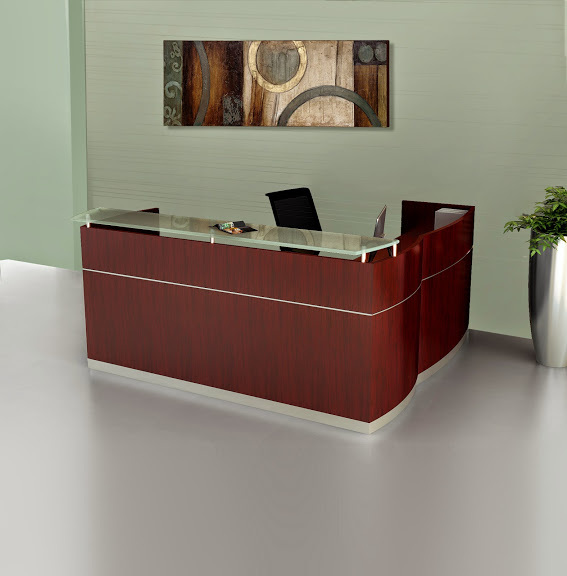 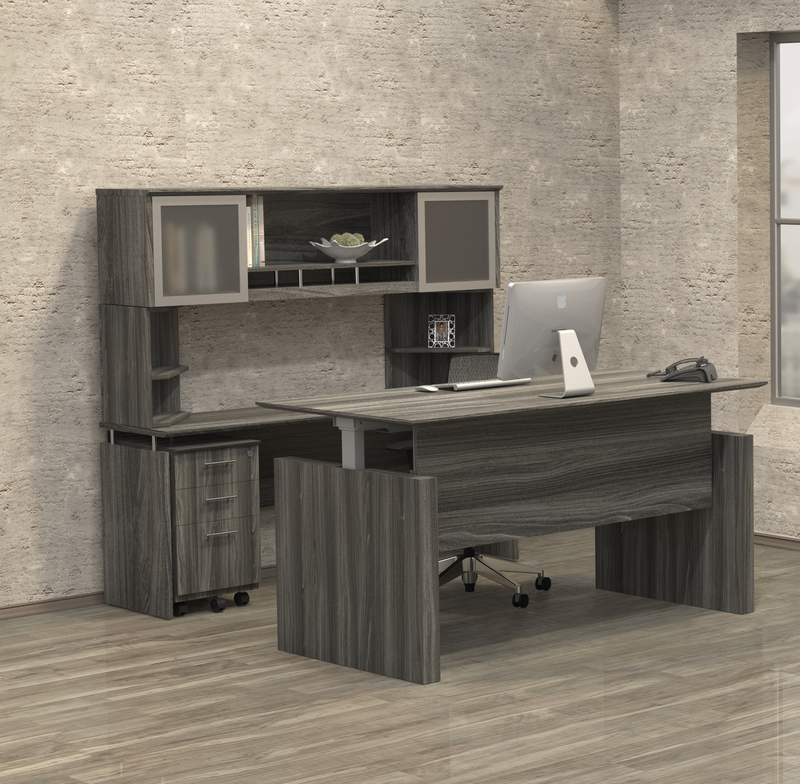 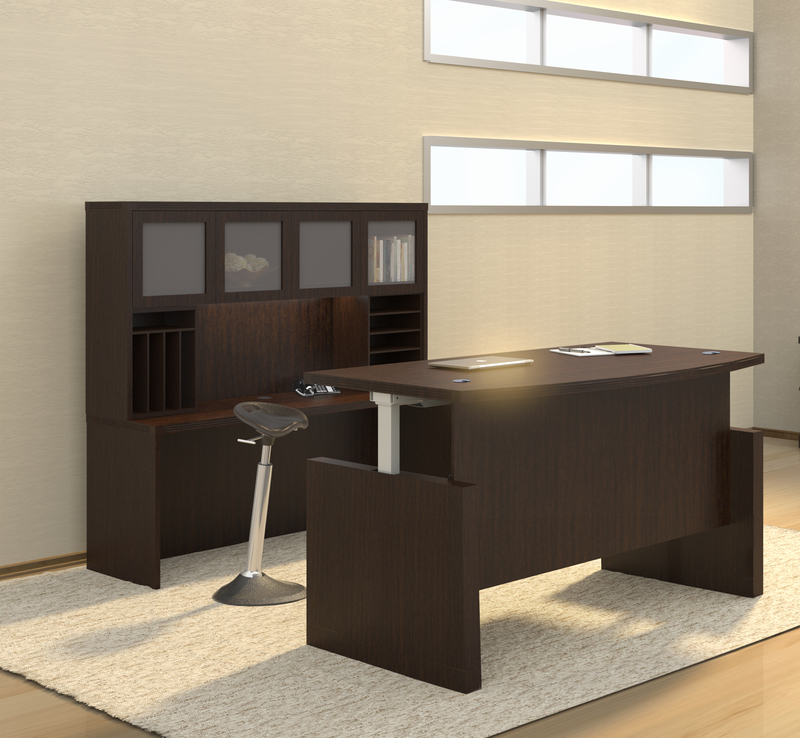 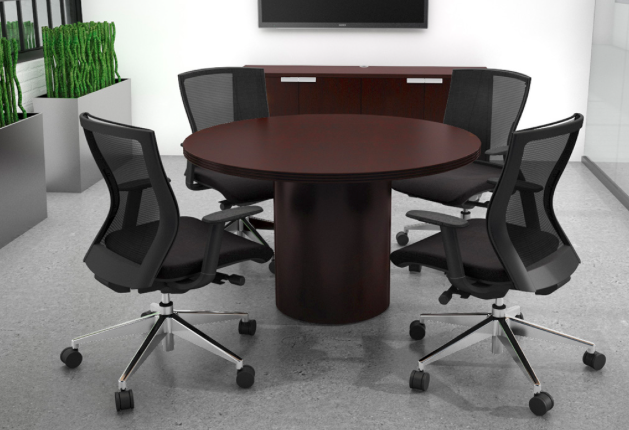 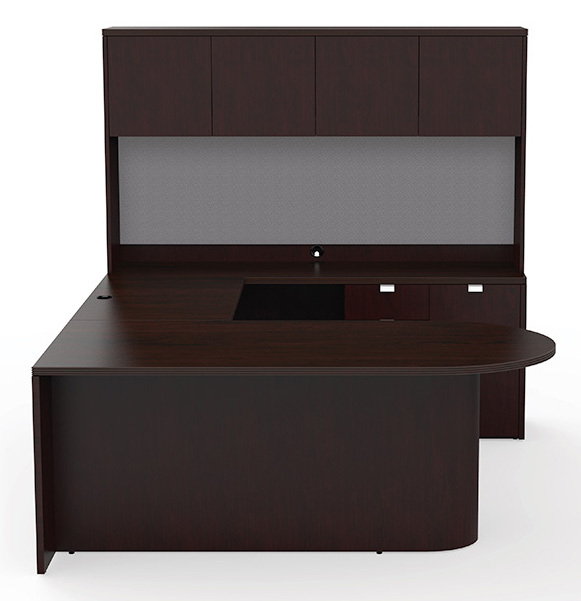 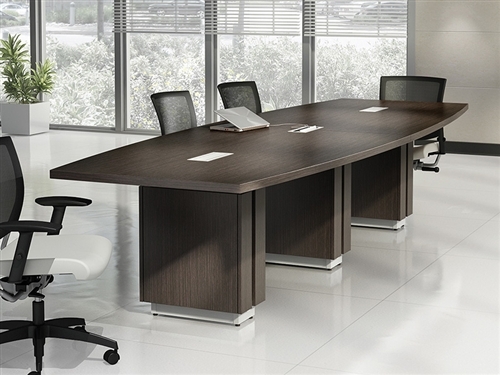 This U shaped executive furniture set from the Cherryman Jade series features a curved front desk that pairs with a reversible bridge and rear wall credenza. 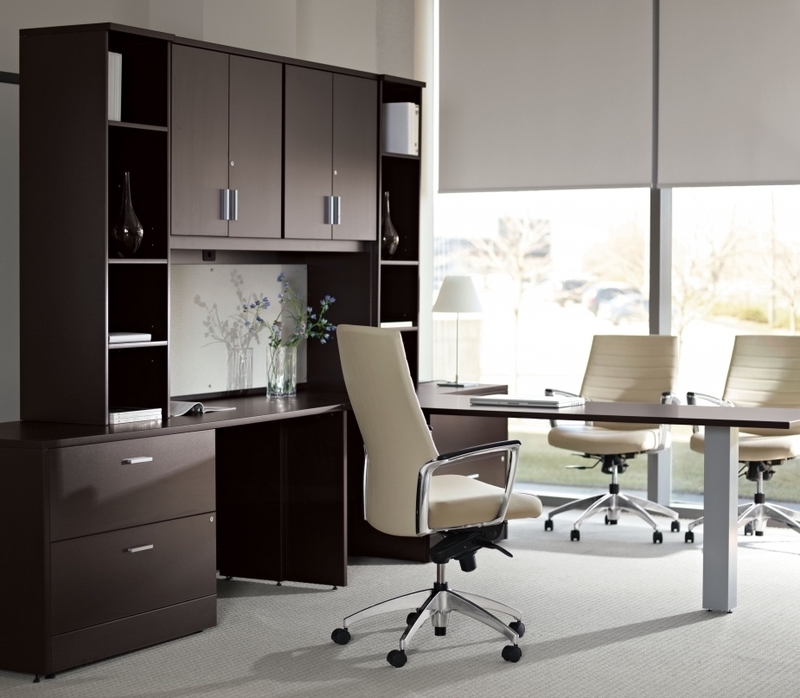 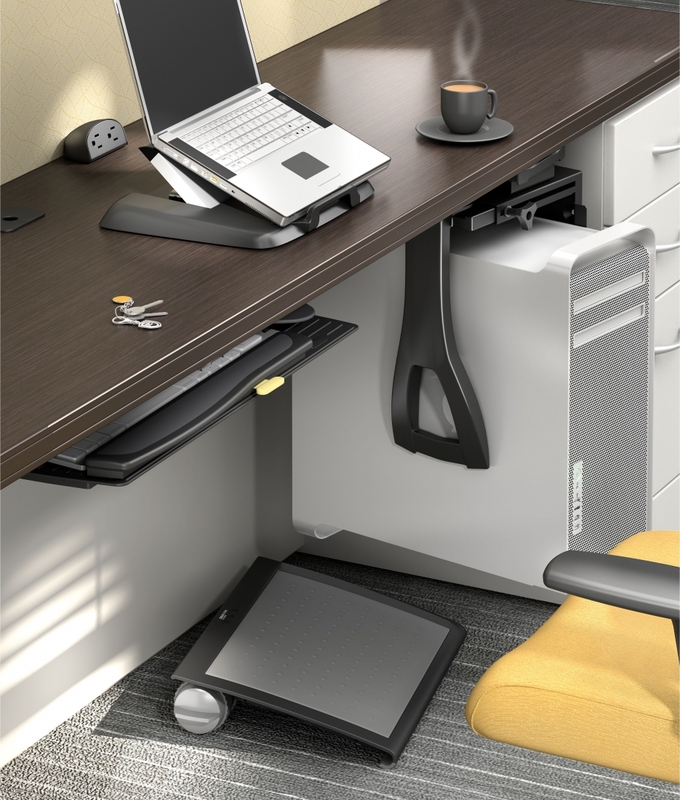 The mixed storage unit offers an array of file and storage drawers to encourage efficient organizing. 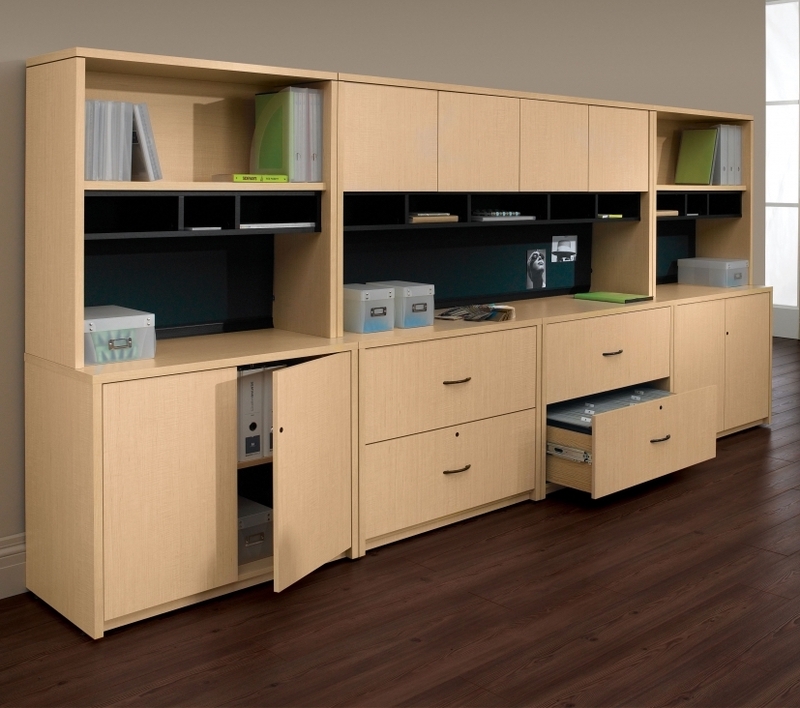 The overhead hutch unit provides space saving storage space while creating an upscale look. 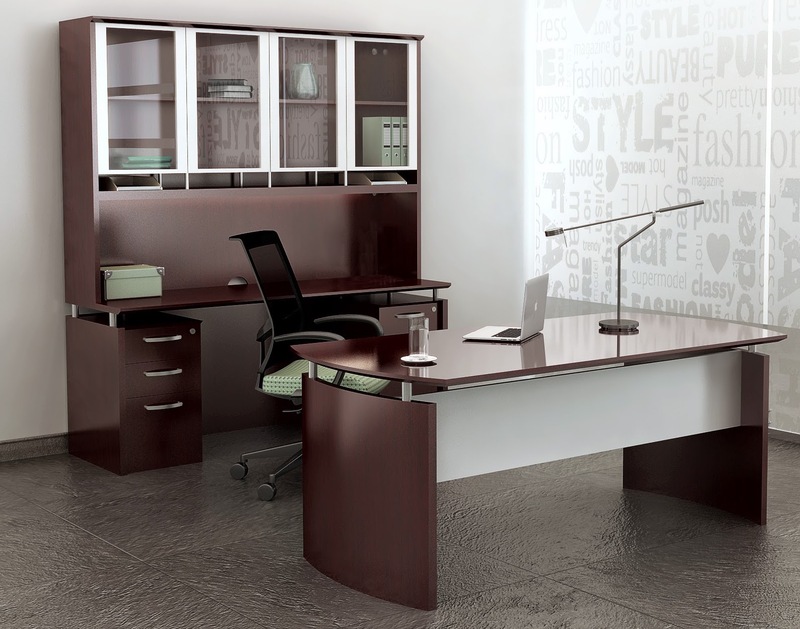 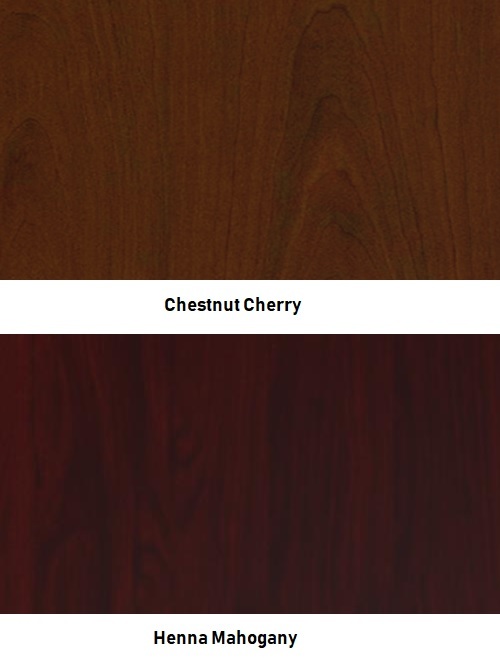 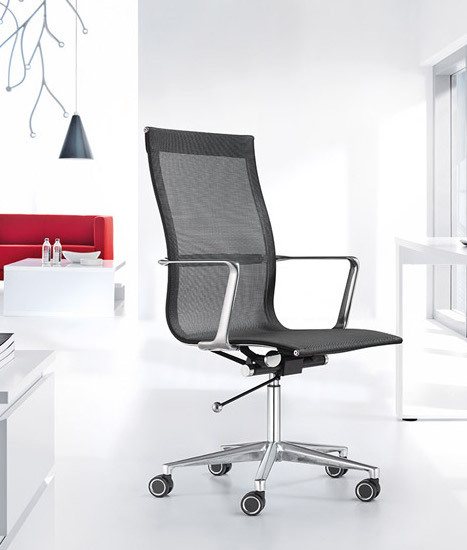 Choose from 2 finish options and a wide range of matching Jade components.